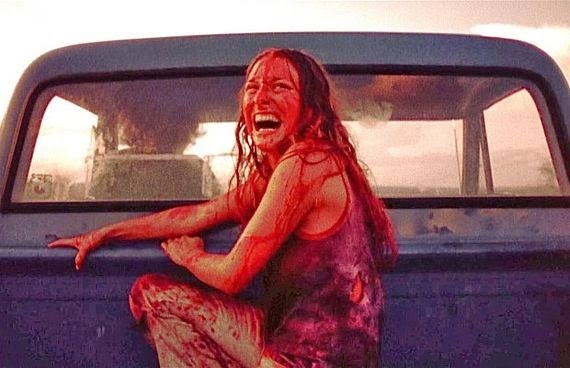 I put together a list of potential women to highlight in a Cheat Sheet this month, but early on I knew that Marilyn Burns was likely to be at the top. Anyone who has seen The Texas Chainsaw Massacre will know Burns as Sally Hardesty, one of the OG Final Girls of the genre, and for my money it's hard to top the realism in her performance. From her hysterical pleas during the infamous family dinner scene to her insane laughter in the final frames of the film, she truly looks like someone whose been put through the ringer. As it turns out, much of this realism stems from the fact that Burns' experience making the film was only slightly less harrowing than if she had actually been abducted by a chainsaw wielding maniac and his family of cannibals. With that in mind, here's a brief overview of the first woman ever to take on the Sawyer family and live to tell the tale. 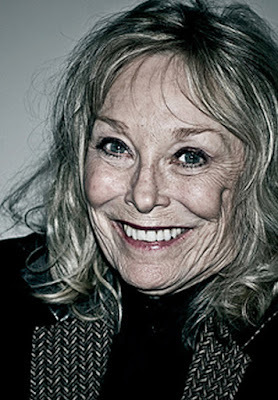 Marilyn Burns was born on May 7, 1949 in Erie, PA. She was raised in Houston, Texas. Her first role was a bit part in Robert Altman's Brewster McCloud. Soon after that she landed a larger role in a bigger Hollywood production called Lovin' Molly, but she was eventually replaced with another young up-and-coming actress at the time: Susan Sarandon. Undeterred, Burns hustled to find more work. While she didn't get a starring role in Lovin' Molly, she did get to stay on to act as a stand-in. This is where she met Tobe Hooper, a director and fellow Texan. As a member of the Texas Film Commission, she found out later that Hooper was making his own movie and she reached out to him to audition for a part. This movie, of course, was The Texas Chainsaw Massacre. During the scene where the family tries to help Grandpa slaughter Sally by hitting her in the head with a hammer, the head of the mallet had been replaced with foam. The handle, however, was still made of steel and made contact with Burns' head on several occasions. Some of the blood coming from Sally's head during that scene was Burns' real blood. Earlier in the same scene, the family cuts Sally's finger to feed Grandpa, but the trick knife used in the scene wasn't producing the desired effect. Gunnar Hansen (Leatherface) was getting impatient, so he removed the protective tape and allowed Burns to actually get cut. She didn't find out that Hansen had done this intentionally until years later at a screening Q & A, and understandably she was not happy with him after this revelation. In another scene, Burns' own impatience with the production process lead to additional injury. Jim Siedow (The Cook) was too timid to convincingly strike Burns with a broom handle in their scene at the gas station. Tiring of the delays and knowing that Tobe Hooper wouldn't move on without a good shot, Burns said, "Jim just hit me, or we're never going to get through this." On the next take he did indeed hit her and wound up dazing her and giving her a black eye. Some parts of the production took more of an emotional toll than a physical one. The close-up shots of Burns during the dinner scene were shot separately after principal filming had been completed. They shot takes of her getting hysterical for hours, which Burns explained allowed for her eyes to become "redder and redder and grosser and grosser." After Texas Chainsaw Massacre, Burns starred as Charles Manson acolyte Linda Kasabian in the 1976 miniseries Helter Skelter. This was a different kind of challenge for Burns in that she was playing someone who actually existed rather than a fictional character. This was especially challenging given that the Mansons were still in the public consciousness. At one Manson sympathizer even confronted her during production to chide her for some of her decisions on how to play Kasabian. 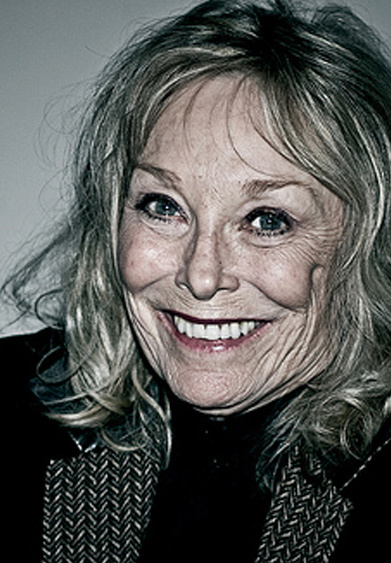 Burns continued to work in a few other genre roles such as Future-Killer and Eaten Alive, but she never tried to distance herself from her most famous role. She frequently appeared at conventions and took cameo roles in Texas Chainsaw Massacre: The Next Generation as well as Texas Chainsaw 3-D.
She passed away on August 4, 2014 at the age of 65.